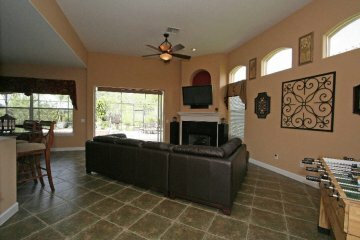 Mediterranean architecture, tile roof, exterior balconies and backing up to Greenbelt! Magnificent view from Kitchen and pocketing sliders in Family Room. Well suited for large family or many guests with oversized rooms and plenty of them! 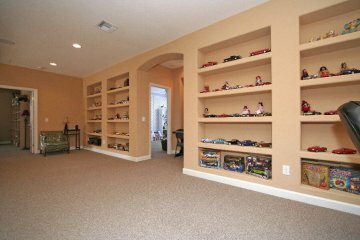 Total of 5-7 Bedrooms - upstairs 28' open Balcony with walls of shelving- great study area! 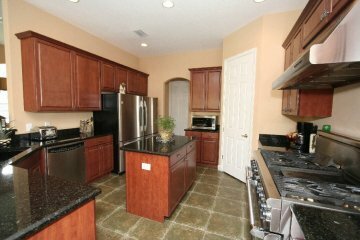 Fabulous Kitchen with "miles" of granite, 12' granite snack/server bar, stainless appliances, 2 refrigerators, 42' Cherry cabinets, GE Thermador 6-Burner gas stove! 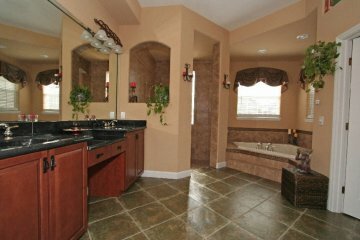 Spacious 20' Master Bedroom adjoins 15' luxurious Bath and dressing area, walk-in shower! Surround Sound in the house for your additional enjoyment! 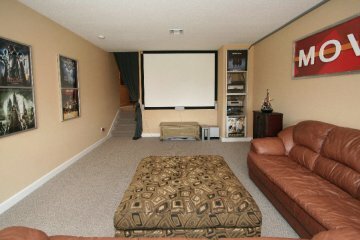 24' Movie Theater with sound and projection system, including a 104' screen! (Two Plasmas T.V. 's, fan in Master Bedroom, light at top of stairway are excluded from sale.) Heated Spa spills over to large Pool with "beach deck". A screened-enclosed poolside Terrace offers an outdoor dining area and cooking area, and overlooks a lush Greenbelt. 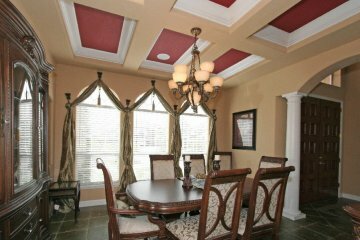 Stoneybrook is a community designed for wholesome family living. There is a clubhouse with activities for all age groups, organized by a professional director. Tennis Courts, a grand community pool, and on-going classes for many subjects of interest. 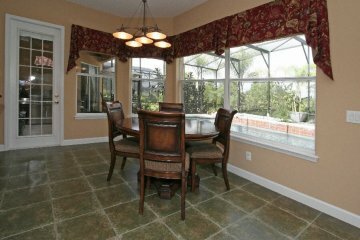 Stoneybrook is a place where all ages of the family memebers can enjoy the finest that Florida living has to offer. $1,100,000.